Although "first look" photo sessions are growing in popularity, plenty of couples still choose to save that special moment for the walk down the aisle. Judging from these photos, it's easy to see why! 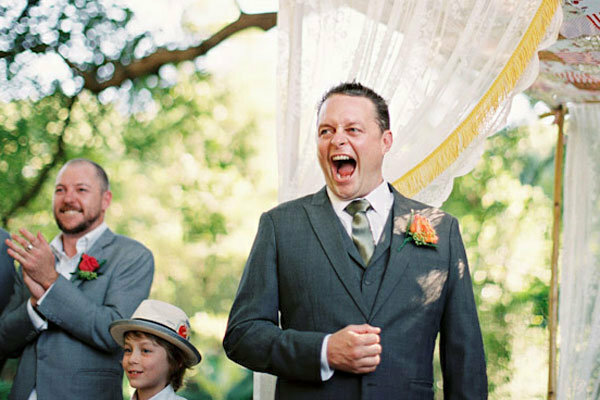 From adoring gazes to emotional breakdowns, here are our favorite reactions from grooms seeing their brides for the first time during the wedding ceremony.